and lacking nothing essential; excellent or ideal in every way. There is so much around us that seems perfect… The models in fashion magazines; the celebrities that grace our televisions; that proverbial God in church that gave us his life so that you and I could be imperfect (if you believe in that stuff)… The need to be a perfect father and husband? However you interpret things, for many of us, there is a lot of pressure out there. Whether it is dating, marriage or career, sometimes it is a little overwhelming. Do you know what else is a lot of pressure? Striving for enlightenment and self-actualization; the very essence of my book, The Responsive Universe. I wrote this book with the genuine effort to help people find happiness in a world of indifference. Yet, it is my own path to perfection that leads me to suffer. It is interesting how we continue to evolve. No matter how much we strive for betterment, suffering still is intrinsic to our being. I try hard to eat well, exercise more, drink less and be a kind and compassionate person. I am all those things but the passage through these situations is riddled with guilt from my ego that fights tooth and nail to justify its existence. I feel guilty about not juicing every day, not meditating or not spending my money more wisely. You see, the sign posts are there in my mind – I see the best path to follow and also the guilt that sits just to the left and right of my path, nudging me along. It is sort of like a checks and balances system. Even though I walk the right path, guilt still seems to rub off on my shoulders. I know this is the ego … and I know this is life – a continuous struggle uphill for most of us. Many times its takes years to look back on our lives to see the evolution we have carved. Sometimes it is hard to see the forward progress, especially if you are always setting the bar for perfection and falling short. It can feel like you are failing when in actuality you are making a difference. We all know what we need to do to suffer less. We all know right from wrong. We understand that the ego is our false-self but a necessary function in early human development. We can all understand that compassion and conviction are foundations on which to build a life of wellness. But there is a point when we just have to let go… Find faith and confidence that everything will be fine and then JUST LET GO… Maybe the key is not to strive for perfection but just strive for improvement. I bet there would be less guilt? I wrote a book about evolving as an individual and I feel it was a magnificent effort – still in my own world as I continue to evolve socially and spiritually; new answers seem to arise as I push deeper into knowing. I have learned that life is a compromise between perfection and imperfection. As I have written, the Universe is born from imperfection and so were you and I. Why do we strive for perfection now? ahhh… the lessons in life…. So it appears the art in striving for perfection is letting go of the ego and simply do the best you can. If everyone just did that it would be a much better world to live in. It is always interesting to me that just when we think we have it all figured out we soon learn there are still many lessons left to add to our wisdom rock. Maybe this is because peace and contentment is not a stationary thing, but instead constantly evolving. Its been a quest of mt own to learn this lesson. I am still very much h a student. I wrote something about my struggle with grace and my authentic self I have never added a link to blog in a comment because I think its rather cheeky. But upon reading this post that speaks to myself I knew I would want to at least offer it. Thank you for this post, It has me contemplating once more, always a good thing. John- This was an extremely interesting post, especially as I continue reading your book. It seems the similarity of ego, and True Nature somehow causes a stress. True Nature to maintain without ego, and ego in check. It is hard to draw those boundaries, and live there. Very much enjoy the book! Awesome post John. Perfection can never, truly, be gained. Improvement can. I need to think about that more often. I am so enjoying your posts! I love this: “It can feel like you are failing when in actuality you are making a difference.” So often we can’t see things until we have time to gain perspective so WHY are we so hard on ourselves in the meantime! 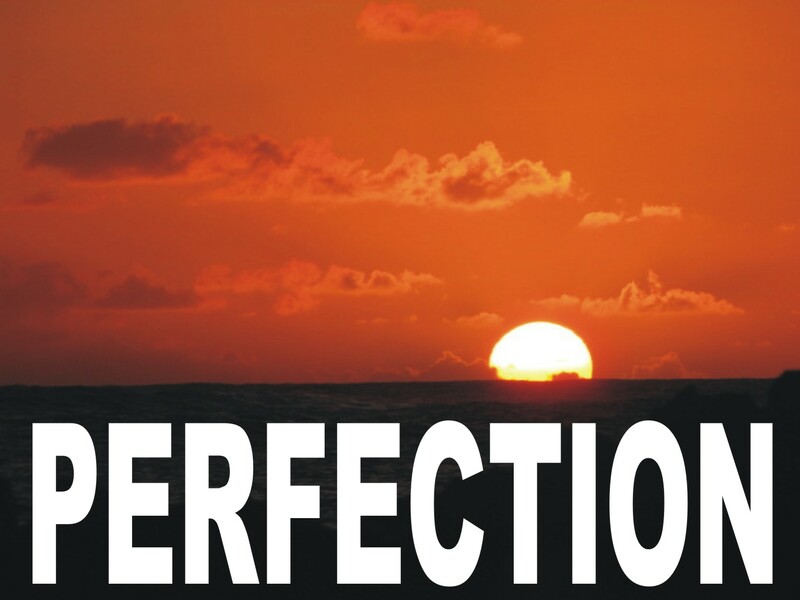 Anyone who believes they can achieve perfection is imperfect in believing it. I usually strive for perfection while keeping my feet in the reality so I don’t get stressed out and disappointed when I don’t achieve my dreams. The best I can do is okay by me and often gets me more recognition than I think I deserve. There is a quote from Rabolu which goes: “Each of us makes mistakes and more mistakes, but what is important is to realize where we are failing and to gradually correct ourselves”. Wow! Great points – great reply – thank you very much!